Save! Save!! Save!!! 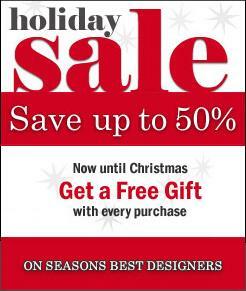 Savings of up to 50% on designer jeans including 7 For All Mankind, AG Jeans, Big Star Jeans, Blue Cult Jeans, C & C California, Chick By Nicky Hilton, Chip & Pepper, Cheesey Tees, Cosabella, Double A Twill, Elvis Jeans, Gottex Swim Wear, Handbags & Scarves, Hudson Jeans, James Jeans, James Perse Tees, Joe's Jeans, Junk Food Tees, Kenzie Clothing, Michelle Roy, Rix Chix, Salt Work Jeans, Sam & Billy Jeans, Susana Monaco, Three Dot Tees, True Religion Jeans, Trunk Ltd, Vitamin A Swimwear....Click on the image above for full details.